Want to play Soccer inside the Nets? Join today! Fast Paced, the ball never goes out! All players must wear shin guards, all other equipment is provided. Fully Licensed Bar for your team to enjoy a beverage after your match! Registration Fee: $72 per team per season paid by round 5. Registration Fee: $48 per team per season paid by round 5. Registration Fee: $44 per team per season paid by round 5. 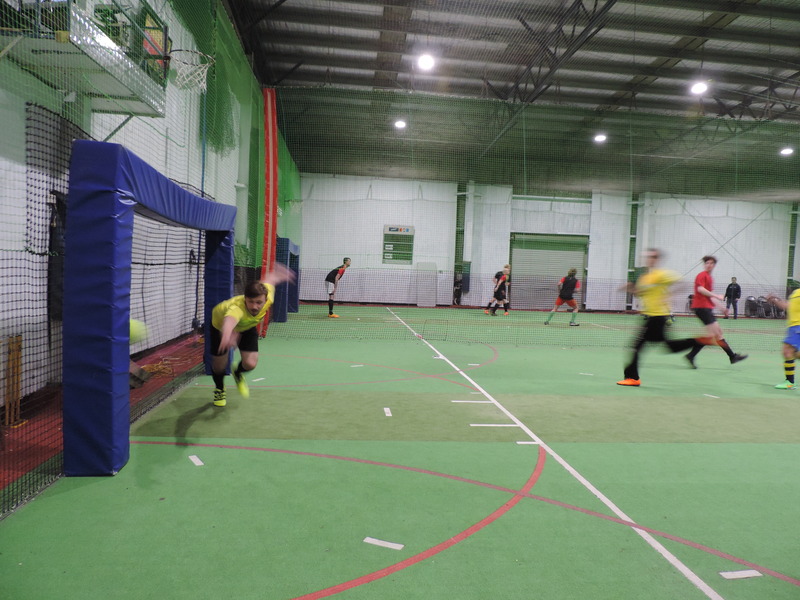 If you have any further question in regards to our Indoor Soccer Competitions please do not hesitate to give us a call at the centre or send us an email. Players participating in any sport at this centre or using the facilities including the car park do so at their own risk. We do not provide player insurance and we strongly recommend all players recognise the dangers involved with indoor sports and have their own private insurance. Should a player be seriously injured they must fill out an injury report on the night the incident occurs.